Many travelers are seen at Kyoto Station just arriving from a distant place, heading to explore further in the city, or trying to find their way to a next destination. One thing many travelers look for right after their arrival may be of a place that they can stop and grab something to eat. Satisfying a hunger may even be someone’s priority thing to do before heading out for some sight-seeing. If you are looking for something good to eat, consider going to the suggested Kyoto Station eateries below. 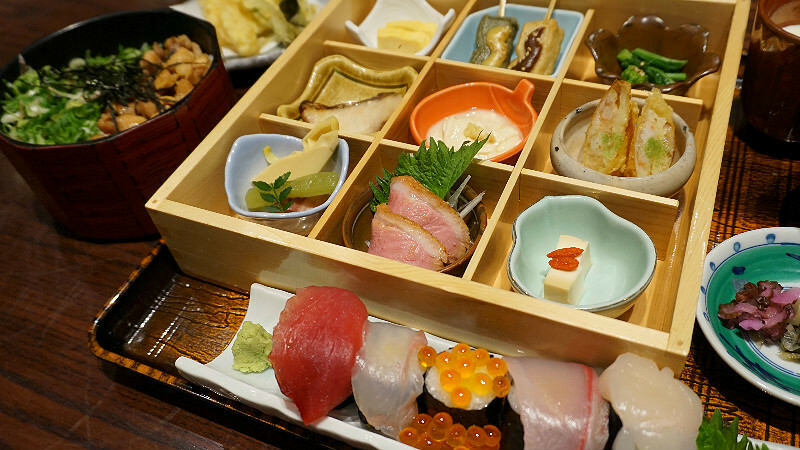 A restaurant where you can enjoy home cooked-style Kyoto Cuisine, something perfect to get satisfied as your first meal in the city. Kyoto, being a popular place for pickles, you will be able to eat them as much as you like here along with delicious rice cooked in old fashion kiln-style rice cooker. A popular revolving sushi restaurant offering more than 50 kinds of sushi located in the Asty Road section of Kyoto Station. 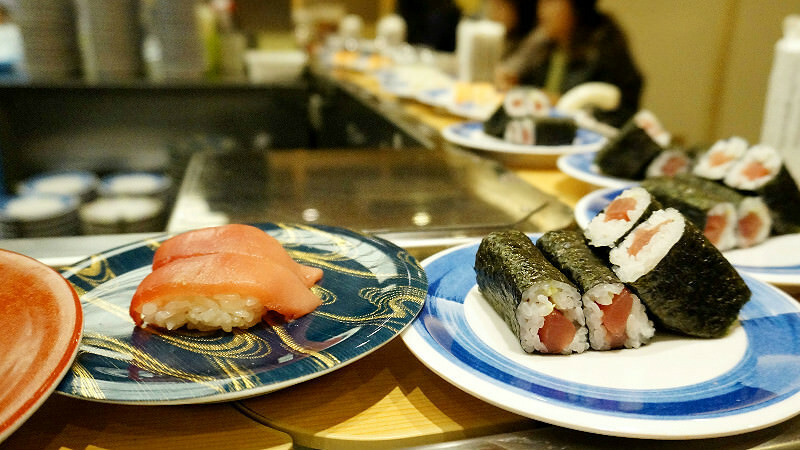 High quality sushi for a reasonable price is something you can enjoy here. Allowing for quick eats, it’s perfect for those who want to eat fast before heading on a Shinkansen. You may except some wait time when they are busy. Bento is something that just goes so well with train stations. It’s almost as if it became a tradition to get a bento and take it along for a long Shikansen ride. To eat bento on the Shinkansen is also an exciting part of the ride. 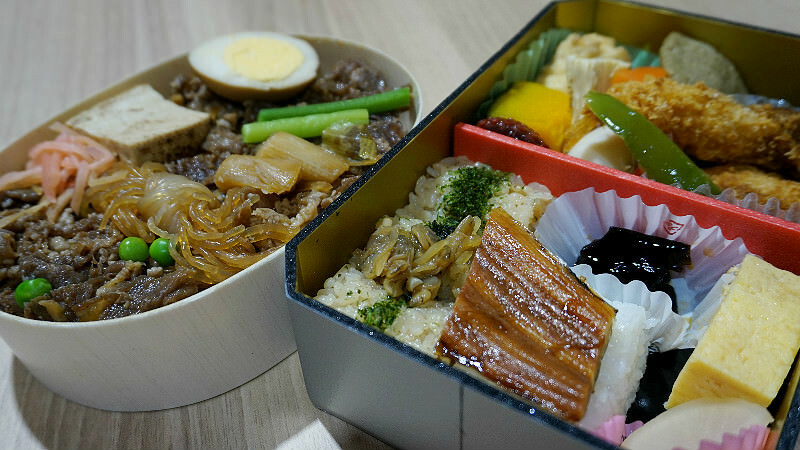 At this shop, you will find variety of delicious bento with regional food from all over Japan. Enjoy local and seasonal dishes at Kurama. 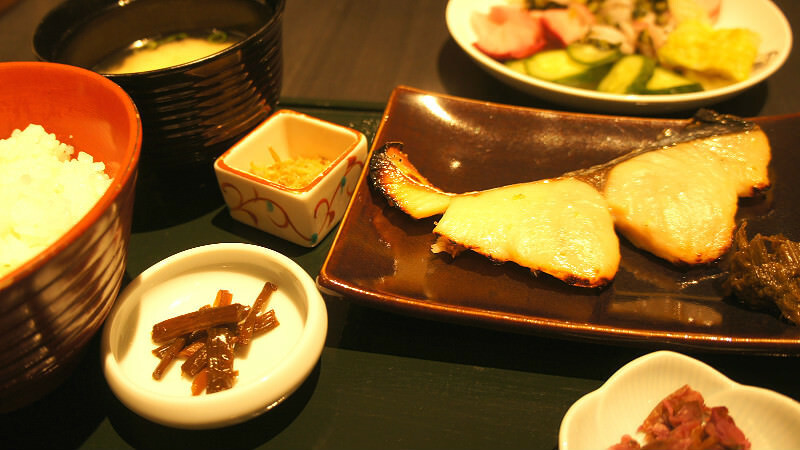 This restaurant uses ingredients Kyoto is proud to produce and offers authentic and delicious meals. The restaurant is located in the Asty Road section also known as “hachijo-guchi” side of Kyoto Station.